Naturally, this means that I got to pick our #WednesdayYA pick. I picked something I'm pretty sure Misty will love because it's by one of her favorite authors. I own all of the books this author has written, but I'm extra excited about this one because I've heard so many good things. I have really high hopes for this one, and Casey who comes to our chats, has already read this one and loved it. Our Twitter chat will be back on schedule this month on the second to last Wednesday of the month, which on this month will be on the 23rd. Meanwhile, feel free to share Instagram pics, thoughts on Twitter, reviews, or anything else you'd like. Misty and I look forward to discussing this with you! I hope it was all sorts of wonderful and filled with your very favorite things! 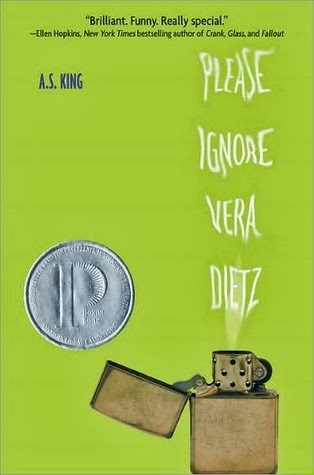 I was all about PLEASE IGNORE VERA DIETZ. I hope you love it! 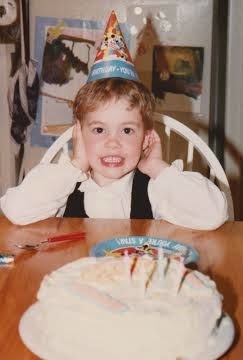 Happy birthday+1 day! You share a birthday with one of my good friends from college so yay April 1st! I hope it was a good one!